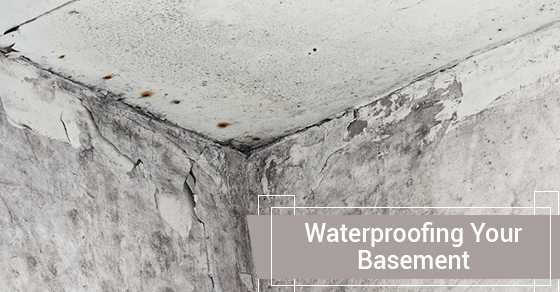 If you are experiencing a wet basement, waterproofing your home will help to resolve the problem as well as prevent further damage from happening in the future. In general, there are three methods that are used to waterproof basements. Keep in mind that since every home is different, some houses will need a combination of the following methods while some may require just one. Exterior waterproofing is a preventive approach to waterproofing your basement that will keep condensation from ruining the foundation of your home by keeping water out of your walls and foundation. This process involves digging a hole down to the bottom of your home and then applying a waterproof coating to your walls. This waterproof coating will make it so that water then travels down to the drain instead, pushing the water to a sump pump or down another possible route. The most common way for water to get into your home is via cracks in the foundation of your home. Luckily, there is an easy solution to this problem that simply involves sealing the cracks from the inside of your home via special sealants that block out moisture and leaks; they also last for a great deal of time. In addition to interior sealants, waterproof coatings are also commonly used. The waterproof coating will bond to your walls in order to stop both dampness and condensation. Another way to address water that has made its way inside your home via a leak (and to also prevent water from getting in in the future) is to install a sump pump, which will collect the water from alongside your foundation; once it detects that the water is too high, the pump will push the water out of your home and away from your foundation. Sump pumps can also be used alongside vapour barriers in order to prevent mold from forming. Ensure that not only your gutters are clean but also that your downspouts are pushing the water out a distance of at least 5 feet away from your foundation. Also ensure that you don’t have any plants growing too close to your foundation and that they are at least 12 inches away. Whether you are in need of plumbing, water heating or water services, contact Brothers Plumbing today. Not only do we have over 50 years in the industry but we also offer very affordable rates and offer our services seven days a week.